If you're trying to follow an NBA game and you don't have Foxtel or you're not in front of a TV, you can always keep tabs on the score from your phone. ClutchPoints not only gives you the score, it shows you real-time plays, video, detailed stats, fan reactions and more. The app is free to download and there's no need to register. You select your team, find the game you want to follow, and the app aggregates information to send you updates so you can follow the game. 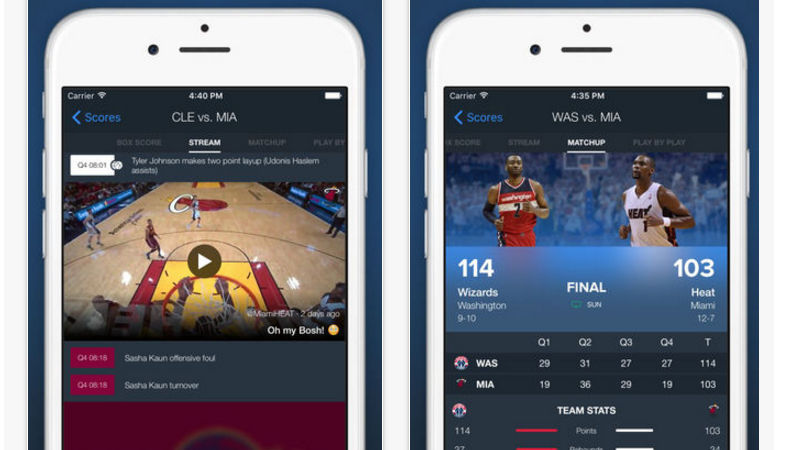 Swipe right, and you've got all the stats and play-by-play you need. Swipe left, and you can follow the reactions of fans, writers, players right at your fingertips. ...we are aggregating the content from social outlets and applying our developed algorithm to it to pull the top content at each specific moment in the game. You will notice there is specific credit to users within the STREAM section of the app, where the videos, images, and commentary populates. You can give it a try for yourself at the links below.